A beautiful country, a perfect destination for camper travel and currently the home of both our Sons! This could mean only one thing……a trip down under, the search for a van and the chance meeting of the most incredible people, bringing our self-build van dream to life! Sitting under the shade of a large pine tree to protect me from the searing sun of a New Zealand Summer, my thoughts are drawn to all those European Summer’s we’ve spent touring the fabulous regions through France, which are just so brilliant for camper travels. So, out came the notepad and pen, ready to include my top picks from French travels, one of the most versatile and diverse of countries, when I suddenly realise that I have way too many favourites to include in just one generalised blog piece! Perhaps, I’m just too enthusiastic about sharing my love of camper destinations, but with so many incredibly beautiful places in one country, I begin to get stuck with where to start! As with all the best laid plans, before I know it, my mind has wondered and with that I start writing. Not about France, but about where I am right now. After a year of big decisions, that include some very big changes. With one Son moving to New Zealand, after receiving a job offer here and our other Son moving here to embark on an 18 month training programme, we suddenly found ourselves separated for the first time ever. We decided to look on this, not as a negative but a truly positive twist of fate and an opportunity for us to make some further big changes for ourselves. So, on our return from accompanying our first Son to NZ, back in March last year, we set the wheels in motion. First things first, was to put the family house for sale and start the hunt for a tiny base back home in Wales. We no longer had need for several empty rooms that still needed cleaning and those bigger bills that still had to be paid and besides all that, we didn’t want to be there much ourselves either…..who needs a big house when there’s such a big world out there to explore! So, the house sold and the week before Christmas, saw us exchange and complete (on the same day!!) with a very busy self-move into our new tiny house. Fast forward to Christmas Day, with the best Christmas present ever, a flight to New Zealand, a reunion with our boys and an adventure, in this incredible part of the world. That’s where we are right now, about to begin on a lazy tour around New Zealand but first, Nigel has been busy converting our newly bought van, into a very basic, but practical and functional camper. So whilst he’s off sourcing parts and fitments and busy fixing things together, I’m back at base indulging in a bit of blog writing! Base, by the way, was our 2-man tent, that we brought from back home in preparation for some overnight hikes, but also finding another good use, pitched up at a campground in the middle of the North Island. That was until a few days ago, when we caught up with the most incredibly talented guy, that we’d had a chance meeting with last year (more of that later). In the meantime, I’m sure you’re asking yourself why we’d be buying a van when, in fact, New Zealand is home to one of the biggest camper rental markets. There are so many rental companies here, offering ever possible type of camper, as well as the fact, that New Zealand really is paradise for camper travels, being so picturesque and so camper friendly. For us, it’s dual purpose and so it’s a more economical way to buy a van. Our Son will have it most of the year where he lives and we’ll use it when we visit, so it’s a great way for us both to get the best use out of it. Renting every year for any length of time would cost a small fortune and our Son would also have been buying a vehicle anyway, so this just makes sense for us all. With Nigel in his element, transforming our once empty LDV high roof van, I feel he may have found his post-work vocation in life and I’m sure it won’t be his first and last project. As you may have guessed by now, converting a van into a camper, wasn’t just an overnight idea! Far from it, it’s something Nigel has wanted to do back home in Wales, for several years now, to the extent where it’s become a bit of a standing joke amongst us family members. He’s followed the vanlife movement for years, since the early days and it’s always been me who’s held him back from selling our own camper back home, in favour of a self-build project. A little harsh maybe, but in reality, we both knew that we couldn’t commit to selling our own camper and starting our own build, whilst at the time, working 7 days a week in our business. What we didn’t want, was a half-finished van and a job that dragged on for months, that’s one thing that would have driven us crazy. If a job’s going to be done, it’s got to be done with momentum, from start to finish, in our eyes, a good project is well managed and finished promptly, something that stems from 20 years of house-building! So, as soon as we knew we’d like a camper down in New Zealand, I relented to the proposition and encouraged him to go for it! All we had to do now, was find the right van at the right price. The search began with “Trade Me”, New Zealand’s answer to E-Bay, we checked out the lists of second hand and new vans, but realised the differences were not worth arguing over, so opted for new. One thing was for certain, after driving round in a car we realised how beneficial a van is in comparison! Obviously, we do have cars back in Wales for our daily use, but we don’t use them for travel, so we hadn’t thought about how strange it is being so low down! We couldn’t help but miss the elevated driving position of a van and being able to have such a good view of the scenery out the window! It also got so hot in the car, air-con on and off constantly, despite it being a large 4-door saloon, a van has such good air-flow, we couldn’t wait to get back to our comfort zone! After this reminder of why we love van travel so much, we decided to go for a high roof, so that we could stand up and have the space that we’re used to. We found the LDV V80, the perfect option, a reasonable price, the right size and with a few essentials, such as 3 seats in the front and windows in the rear doors, it also came with a boarded and covered floor, a great help for our conversion. With one available at an LDV main dealer in Hamilton, all we had to wait for was the end of the Christmas Holidays, so they could transport it from the storage compound at the Port in Auckland. With the deal done, payment made and the holidays over, we were ready to collect the van and begin the conversion. Fortunately for us, Hamilton is a town that has everything available that’s camper related. If you can’t find it on the shelf, someone will soon make it for you! This town has every kind of manufacturer, making every kind of product, it’s unbelievable and all available instantly it seems. The people are so willing to help and easy-going, we soon found that nothing was too much trouble. With a fabulous country awaiting us to explore, we set to work straight away. Our only initial stumbling block was the Christmas period, when Kiwi’s take their extended break, meaning many don’t re-open until the second week of January. On our last visit to NZ, we’d rented a camper which had a small issue with the battery. Our rental company sent us to get it sorted to a guy in Hamilton, Jason, who builds their campers for them. He was so obliging when we met him and we were so impressed with his business, that we kept in touch and decided to pay him a visit after the Christmas break. Low and behold, Jason and Amanda and their team have been incredible, welcoming us into their world, providing so much help to us in our conversion and offering every kind of assistance. They’ve even let us have use of their yard and a place to park up for the night, or several nights! Letting us use their “smoke room” or canteen as we’d call it and a hot shower, they’ve been so kind and accommodating to us in their hospitality. Jason’s Dad, Kim, has also been immensely helpful, going out of his way to make us welcome and charming us with an interesting array of stories from his 72 years. We feel blessed to have met them and thank them for their complete generosity towards us. The conversion is almost ready and we feel that we have made new friends for life in these good people. A reminder of why we love travel, what’s so great about being out of the comfort zone of staying home and truly a realisation that there is still so much good in people and a spirit of kindness towards others. Now, we just have a last few tasks to complete and we’ll be on our way, exploring the wonderful country that is New Zealand and my goodness, we can’t wait to get started! Brits Abroad, Where is Everyone?!! Vanlife...The Reality behind the Image! 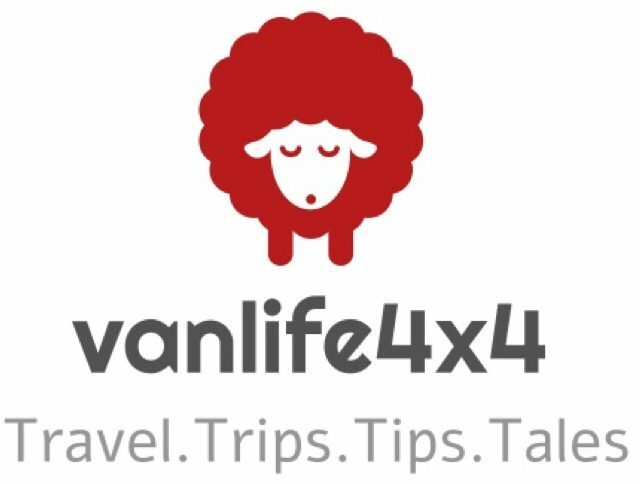 © vanlife4x4 and vanlife4x4.com 2018. Unauthorised use and/or duplication of this material including all photographic and video content and all written content without express and written permission from this site’s author and/or owner is strictly prohibited. Excerpts and links may be used, provided that full and clear credit is given to vanlife4x4 and vanlife4x4.com with appropriate and specific direction to the original content.